Her Source: Singer/Songwriter Emanny releases "Perfect" Video! If America won’t be great again, we need to make it great, and when I say we, I mean immigrants. I mean Fernando. I mean you, and me. Who built this country, anyway? Who made America great in the first place? Fernando did. And we must honor and celebrate Fernando, because he doesn’t only move pianos, Fernando builds worlds, and nations; he/she creates industries; they shift the culture, the way we live, and all within it. It’s easy to be misinformed and misguided with American pride at an all time high with racists trying to build walls and keep the opportunity all to themselves, especially when we live in a time where people appropriate culture, and call it their own—with Hip Hop, cornrows, and America being no exception; but sometimes we have to take it back to our roots. Sometimes we have to show love to those who came before us; those who built, and opened the doors of opportunity. Yeah, it can be easy to forget this, especially when Donald Trumps come around forgetting that the only natives to this land are brown people called Native American’s. But where were you when the British were shooting in the gym, when the Italians were bringing pizza downtown, when Akon signed Lady Gaga? It’s easy to forget the importance of immigrants who not only built our home, but also our country, culture, and everything within it. But it’s more noble to honor, and embrace everyone in this country by their shared experiences. Because, straight up, I am an immigrant. And so are you. It’s probably best we embrace this and join the movement. A direct result of Immigrant Heritage Month, the #IAmAnImmigrant campaign is dedicated to shifting the way we think about immigrants. 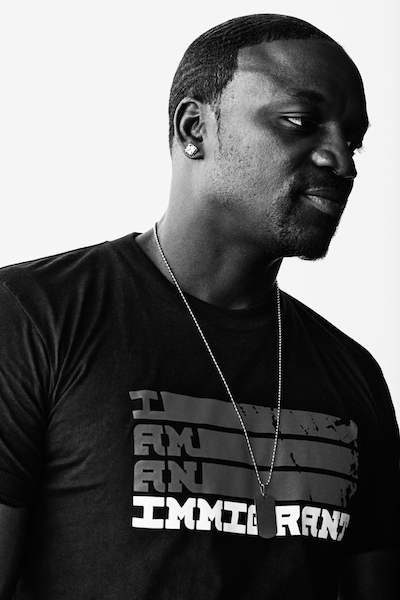 Started by non-profit Welcome.us and recognized by President Obama last year, the campaign trending throughout parts of the U.S. features Akon, Tracee Ellis Ross, Miguel, Kerry Washington, Estelle and many more encouraging all of us to explore our individual heritage, and recognize with pride our distinct and shared experiences. 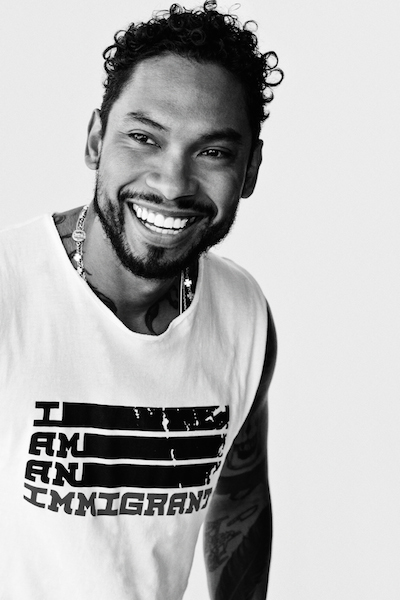 In sharing the stories of artists, entertainers, and elected officials #IAmAnImmigrant unites people through shared experiences in the American story, whether as a new immigrant, native to this land, a descendent of slavery or those who came to our nation seeking a better life. Together, In honoring families’ sacrifices, struggles, and successes – the stories can help reignite pride and redefine the narrative around immigration. Now, more than ever, it’s important to demonstrate how America’s diversity—fueled in great part by immigrants—makes us stronger and more connected as a nation. For more information, visit the campaign’s website http://www.iamanimmigrant.com/.